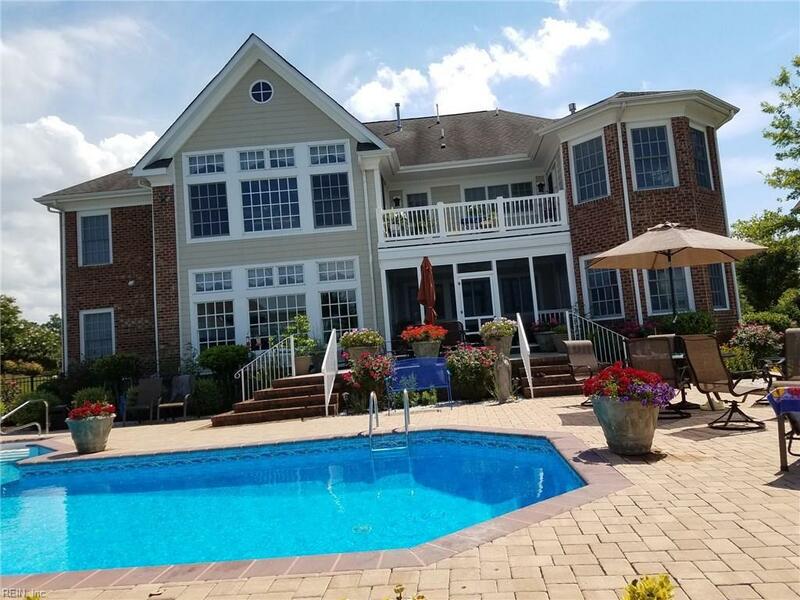 1140 Knights Bridge Ln, Virginia Beach, VA 23455 (#10242974) :: Abbitt Realty Co. This meticulously maintained former model home boasts spacious, light filled rooms, remarkable architectural features, state of the art gourmet chef's kitchen with two large islands and high end appliances. Grand, elegant and superbly executed. The attention to details are flawless. Spectacular master suite with attached sitting area with expansive balcony overlooking pool and water fountain. Absolutely stunning, 4,736 sq. 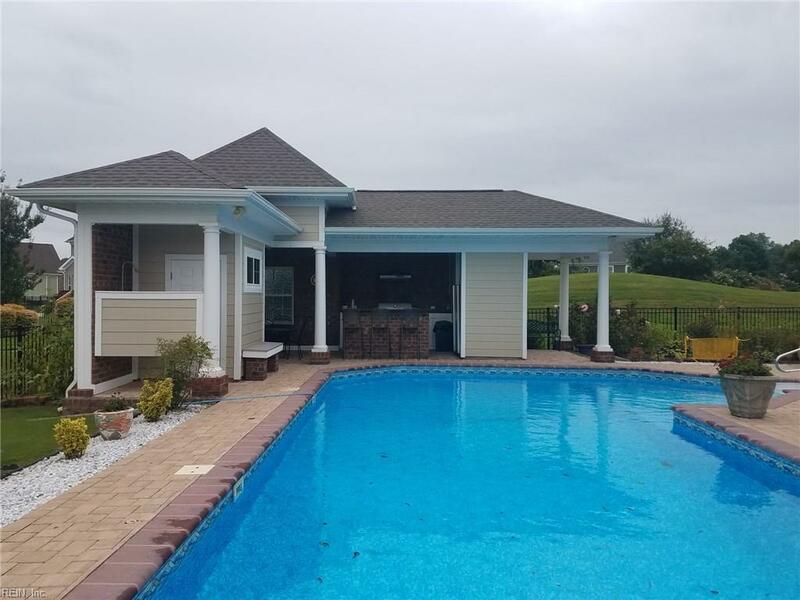 ft., 5 bedroom, 4 bath custom home features two living rooms, home office, large gym, two fireplaces, built-in and so much more. Featuring elegant and refined indoor and outdoor entertainment areas. 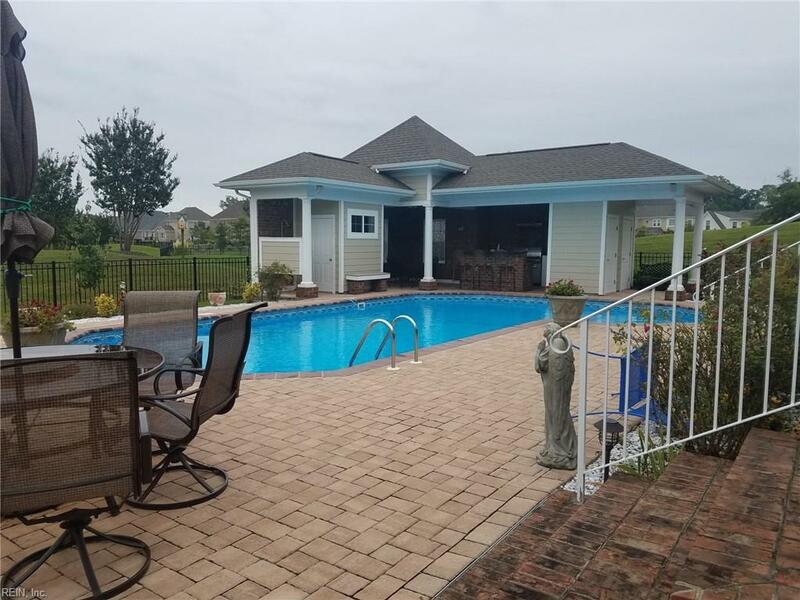 This home is ideal for entertaining with extensive outdoor hardscape incorporating a large patio, newer saltwater pool with full outdoor kitchen and pool house. Enjoy the beauty and sound of the large pond and water fountain! This is a luxurious model home that will give you the space you need with the warmth of a cozy home.